At Benjamin Banneker Charter Public School, a preK–6 elementary serving 350 students in Cambridge Massachusetts, the MCAS results were welcomed without much fanfare. The school leadership spent little time lauding over the year’s successes after the results were shared with her teachers and staff by the learning analytics team during a general assembly. The Executive Director explained that the results, no matter how improved, left too many students behind and that was not okay. This message was particularly interesting in that Banneker had climbed to become the #1 public elementary school in Cambridge. Banneker’s MCAS results (in red above) were significantly higher than state averages (in blue above) with 73% of its mostly inner city Brown and Black students meeting or exceeding expectations in ELA and 65% in math. Across Massachusetts only 49% of students met or exceeded expectations in ELA and 48% in math. Banneker’s team of educators were responsible for guiding students to deliver performance scores more than 20% above Massachusetts state results. Banneker’s results were similar to top schools, many from some of the more affluent towns in the state. 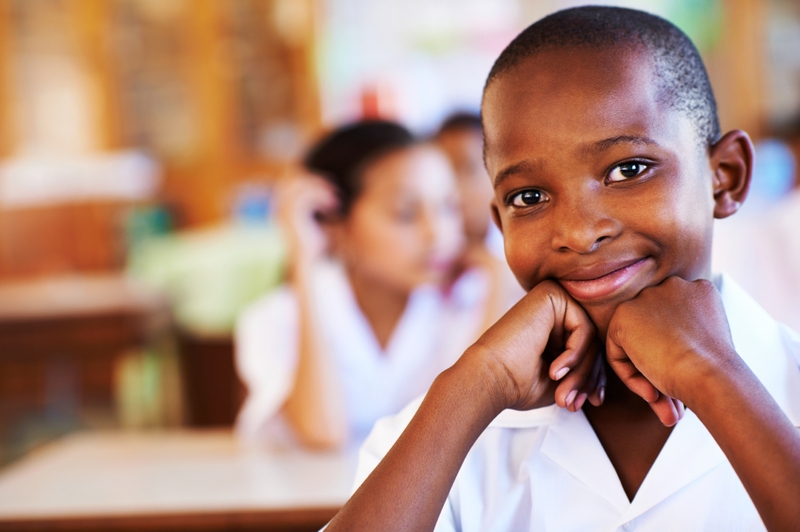 African American students are only 9% of the Massachusetts public school population with high concentrations of students in underperforming districts. Only 30% of African American students tested this year in Massachusetts met the new expectation of performance in ELA. Only 26% of these same students met expectations in math. Banneker’s results were 40 percentage points higher. Banneker had the highest outcomes for African American students in ELA when compared to other “elementary” charter schools throughout the state. In math it had the 3rd highest outcomes. Results don’t lie. Banneker’s small school community is another example of what can work and proves that the economic and social circumstance of students DO NOT predetermine academic outcome. The Next Generation MCAS will be a new measure of academic attainment for Massachusetts public K-12 students. Although the MCAS test has been updated, there are still four categories into which students can fall based on results. Two categories (“Exceeding” or “Meeting Expectations”) indicate the student is performing at their appropriate grade level given the new standards. Two categories (“Partially” or “Not Meeting Expectations”) are below the new grade level cut points. This new version of the MCAS will be used by the state as a 2017 baseline for future growth. The rigor of the Massachusetts public education system is well known, producing some of the highest public K-12 outcomes on national tests such as the NAEP, SAT and the ACT. Even with this leading position nationally, Massachusetts state education officials believed that a new high bar had to be set for the state to compete globally. Massachusetts has more than 40 colleges and universities that offer master’s or advanced degrees in education. Currently, 13,000 students are enrolled in teacher training programs across the state. Cambridge Massachusetts, a close neighbor of the capital city of Boston, is home to many well known colleges and universities. 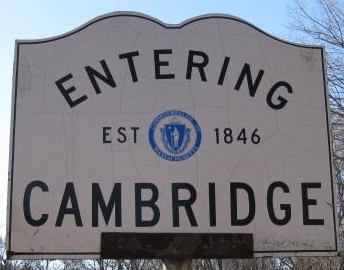 It is also home to the Cambridge public school district that has an enrollment of 6,700 K-12 students from a range of economic and ethnic backgrounds. Students are 40% White, 25% Black, 14% Latino, 12% Asian as reported by the Massachusetts Department of Elementary and Secondary Education (DESE). The demographics of Cambridge public school students differs significantly from that of Massachusetts state-wide where K-12 students are 61% White, 9% Black, 19% Latino and 7% Asian. Cambridge, unlike many parts of the state, thrives as an inclusive and global community. Young families in Cambridge are served by 11 public elementary schools and 1 public elementary-middle school. In addition, Cambridge families can also choose to apply to one of 2 charter schools serving elementary students. One of which is a 20 year old school called the Benjamin Banneker Charter Public School, (BBCPS) serving 350 students in grades pre-K through 6. Like most schools in the state, Banneker did not exactly know the final MCAS outcomes of its students until recently. The school had done well in recent years and was recognized as a 2016 National Title 1 Distinguished School, a commendation that was bestowed by the State’s top education officials to only 2 public schools in Massachusetts that year. During late summer 2017, Banneker’s leadership along with its data team reviewed student data from the prior year including preliminary MCAS results. These data meetings were systematically used to analyze what worked and what needed to be enhanced or changed to increase student learning and guide instruction. Banneker’s leadership wanted to start the year with a clear strategy for growth in student outcomes. What observers that spend time at Banneker will see is an educational institution that is focused on academic success and the personal development of students. The children at Banneker receive an outstanding classroom education but also get exposure to many cultural activities, opportunities to explore nature and outdoors, participation in the arts, access to new technologies and most critically, daily interactions that demonstrate that students are welcomed, loved and respected by a very professional student-centered staff. Housed in a former parochial school building a few blocks off of the major thoroughfare called Massachusetts Avenue, the Banneker is an urban school serving a student population that is 80% Black, 13% Hispanic, 3% White and 3% Asian. The demographic profile of Banneker’s educators and staff is unusual in a state where there is a declining number of school leaders or teachers of color. Almost 40% of Banneker’s staff are African American with positions in leadership, curriculum coaching and classroom instruction, compared to only 4% throughout Massachusetts. The school boasts a very high retention rate among staff. Many with tenures of 10 years or more. Student retention from year to year is also exceptionally high so Banneker enjoys a level of stability that many schools do not achieve. At Banneker, visitors experience the welcoming atmosphere of an inclusive top elementary school in Cambridge, a city where families have many good school options. The school’s lobby is often used as an informal central meeting space where conversations between grade level teachers, staff and specialists occur without schedule or agenda. Each classroom is led by a class team, including the primary teacher and a co-teacher or teaching assistant. Banneker’s leadership believes in grooming new teachers from within and has developed a staff development model that provides the school with a pipeline of talent – tried and tested – in the classrooms with students. Teaching assistants are encouraged and supported as they advance their professional training. Many remain at the Banneker after graduation and licensure, as they start their teaching careers. Teachers are also supported by subject matter coaches in ELA, Math and Science. These coaches provide continuity of content and instruction between grades and they work to ensure that the curriculum is aligned with the Massachusetts Curriculum Framework which the MCAS is based on. Subject matter coaches are embracing new methods from external learning analytics partners that use online formative assessments and blended learning tools for near real-time progress reporting and skills deficit identification. These analytics inform leadership, coaches and teachers as they plan weekly strategies for improving students’ mastery of knowledge. Ms. Bretous believes the effort of her students, the dedication of her teachers and the active participation of parents are the reason for the school’s success. 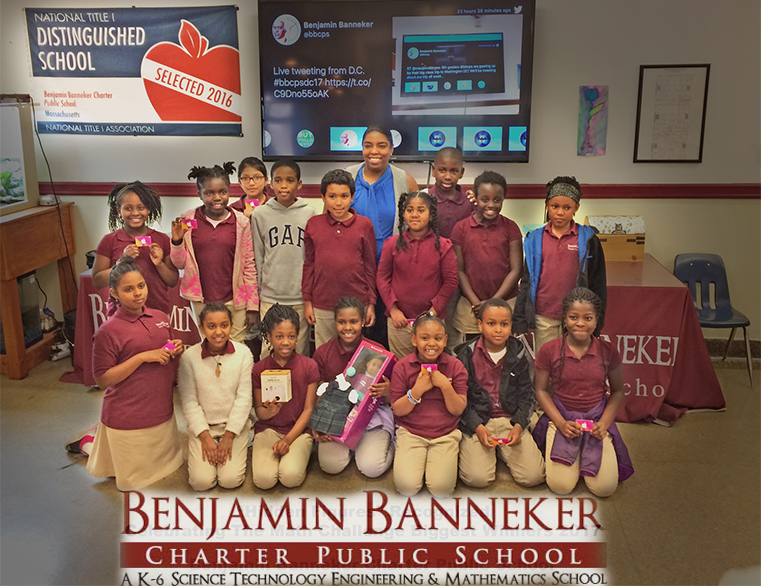 Banneker students seem to be thriving in a culture of inclusion, respect and community. The recent MCAS results demonstrate that Banneker has found a formula to engage and support students as they jump over the many hurdles on their road to global competitiveness.